Biblically Speaking, Can Levites or Priests Own Land Today? My question: Is this all Levi? Or just the priesthood? If it’s just the priesthood…would that mean the Levites in general would be ok to own land? To answer your question correctly I have to digress for just a moment and discuss the difference between the physical Levitical lineage and the spiritual Levitical lineage. It’s important to remember that Christ’s mother, Mary, was part Levite (i.e., the priestly lineage) and part Judahite (i.e., the royal lineage). So Christ had both Levitical blood and Judahite blood in Him. So Christ was (and still is) both High Priest (i.e., of the Levitical line) and High King (i.e., of the Judah line). That’s basically what the phrase Lord of lords (i.e., High Priest) and King of kings (i.e., High King) means. And anyone today who’s truly in Christ — meaning anyone who’s truly operating within the many-membered body of the elect, in faithful service to Him — is therefore, spiritually speaking, both of the Levitical priesthood and the Royal Family. In other words, because we are in Him, we are of the spiritual priesthood and the spiritual royalty. And that’s because He is both priest and royalty. If we’re part of His elect body, we’re part of His priesthood and part of His royal family. Rev 20:6 Blessed and holy is he that hath part in the first resurrection: on such the second death hath no power, but they shall be priests of God and of Christ, and shall reign [i.e., as Kings — Steve] with him a thousand years. 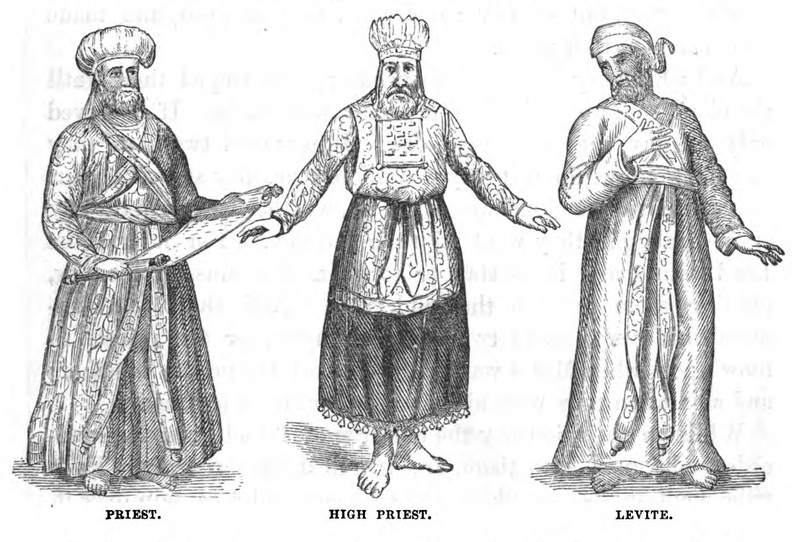 The term “a royal priesthood” means the elect are part priest and part king. If you serve Him, you carry His authority as Priest, and His royal authority as King. It’s kind of like being one of His “right hand men,” so to speak. Eze 44:28 And it shall be unto them for an inheritance: I am their inheritance: and ye shall give them no possession in Israel: I am their possession. So the bottom line is that after Christ died, the priesthood shifted from the physical Levitical lineage based on bloodline to the spiritual Levitical lineage, so to speak. If you’re one of Christ’s elect, ready to stand with Him against Satan, then spiritually speaking you’re of both the priesthood and the royal family household, i.e., a spiritual priest/king like (and under) Christ Jesus. There are still bloodline Levites in this world today (meaning people who are of the physical Levitical bloodline). But that doesn’t any longer automatically make them priests. Being truly “in Christ” (i.e., as one of His election) is what makes you a priest. The Bible study, What It REALLY Means to Keep God’s Word will also help you with this topic, as it demonstrates through Scripture what the elect are expected by Christ to do now in order to rule and reign with Him starting at His Second Advent. Since Christ’s death on the cross at Calvary, we no longer have a flesh Levitical priesthood that changes every time the high priest dies and a new one has to take his place. So the old rules about Levitical priests not being able to own property do not apply. The priesthood is now in Christ, meaning the elect are the priests (and kings). It’s an eternal spiritual priesthood, now, rather than a flesh bloodline priesthood. It’s no longer what DNA you carry that makes you of the priestly line, but whether or not your own spirit is one with Christ and His Holy Spirit. So yes, if you’re in the priesthood of Christ you can own land because the physical Levitical priesthood of old has been completely replaced by the spiritual Levitical priesthood in Christ. But…and this is the key to understand…once Christ arrives at His Second Advent and takes over, at that point the priesthood (i.e., essentially the very elect in Christ) will have no need to own anything at all, because we’ll be in the royal family household with Him as “priest/kings,” and will basically co-own everything with Him, and co-rule with Him.